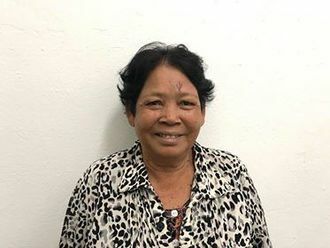 Ren is a woman from Cambodia who needs $398 to fund cataract surgery. Ren is a 55-year-old cement worker from Cambodia. She has seven children and six grandchildren, and enjoys watching Thai TV dramas in her free time. One year ago, Ren developed a cataract in each eye, causing her blurry and cloudy vision. She has difficulty seeing things clearly, recognizing faces, and going anywhere outside. When Ren learned about our medical partner, Children’s Surgical Centre, she traveled for four and a half hours seeking treatment. On March 12, doctors will perform a phacoemulsification surgery and an intraocular lens implant in each eye. After recovery, she will be able to see clearly. Now, she needs help to fund this $398 procedure. 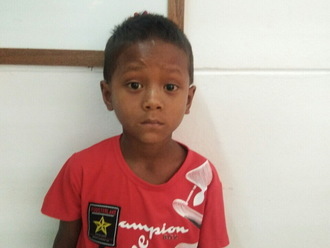 Ren's case was submitted by Lindsay Bownik at Children's Surgical Centre in Cambodia. Ren was submitted by Lindsay Bownik, Stakeholder Relations Officer at Children's Surgical Centre, our medical partner in Cambodia. Ren received treatment at Kien Khleang National Rehabilitation Centre. Medical partners often provide care to patients accepted by Watsi before those patients are fully funded, operating under the guarantee that the cost of care will be paid for by donors. Ren's profile was published to start raising funds. Awaiting Ren's treatment update from Children's Surgical Centre. Ren is currently raising funds for her treatment. Patients with cataracts experience decreased vision, discomfort, and irritation. Cataracts occur when the lens inside the eye becomes cloudy, causing functional blindness. These changes in the lens commonly occur with increasing age and therefore affect elderly people. Cataracts can also be congenital or traumatic. The decreased vision from cataracts can cause functional blindness. This makes it difficult for the patient to conduct daily activities. Patients often need a family member to help guide and care for them. If the patient is elderly, this often affects a young child in the family. When a grandmother needs help getting around, a young child is often assigned to help with her daily tasks. That child cannot go to school. In many countries in the developing world, surgical services are inadequate. Cataracts remain the leading cause of blindness globally. Even where surgical services are available, barriers to surgery remain, including cost, shortage of human resources, poor infrastructure, and limited awareness about access to available services. Cataract surgery is the most common surgery performed worldwide. Surgeons remove the cloudy lens and place a clear lens implant in its place. A patient's vision can improve to 20/20 within one day after the surgery. Cataract surgery is highly effective and carries a low risk. Cataract surgery is available in most areas of Cambodia. However, free surgery is not as widely available. Some debilitating effects of cataracts can be improved with glasses. When the cataract becomes mature, however, the only definitive treatment is surgical. Nhem is a 65-year-old rice farmer from Cambodia. She has four grandchildren and likes to listen to the monks pray on the radio in her free time. 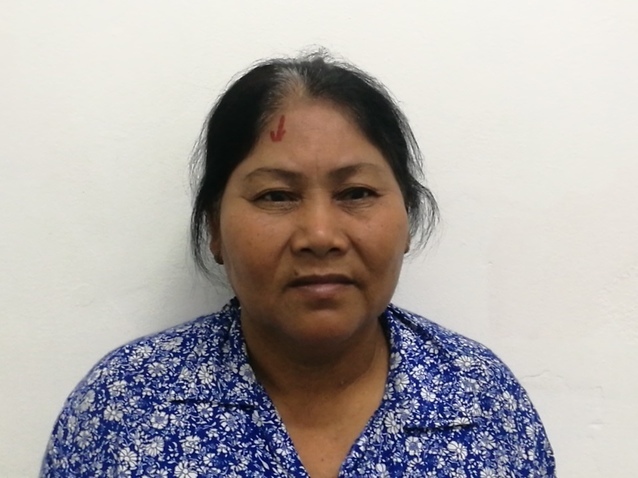 One year ago, Nhem developed a cataract in each eye, causing her blurry vision, tearing, and photophobia. She has difficulty seeing things clearly, recognizing faces, and going anywhere outside. When Nhem learned about our medical partner, Children's Surgical Centre, she traveled for two hours seeking treatment. On March 7, doctors will perform a phacoemulsification surgery and an intraocular lens implant in each eye. After recovery, she will be able to see clearly. Now, she needs help to fund this $398 procedure. She says, "I hope that my eye surgery is successful so I am able to see everything clearly, go back to my work, walk around the village, and ride my bicycle independently. I hope to plant some crops like bananas and coconuts to sell in order to support my family."